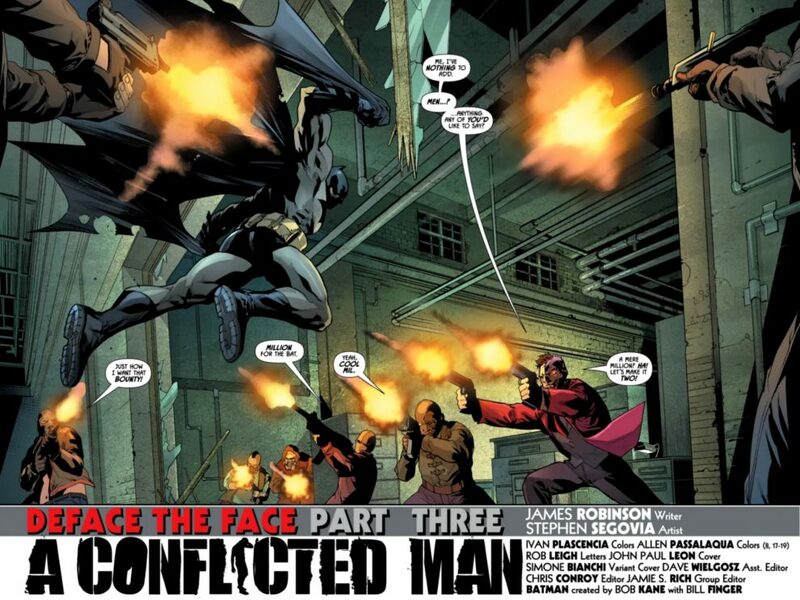 It’s the third chapter of “Deface The Face” and Batman has finally come face-to-face-to-face with Harvey Dent. What has the bifurcated baddy got up his sleeve this time? I love all the mainstay classic Batman Baddies. While everyone knows and loves (to hate) the Joker, Penguin and Riddler, I’ve always been a Two-Face fan. For me Harvey Dent is the most tragic of all of the Dark Knight’s rogues gallery. This is man that could have been one of DC Comics’ greatest heroes, before fate and madness took all that away. 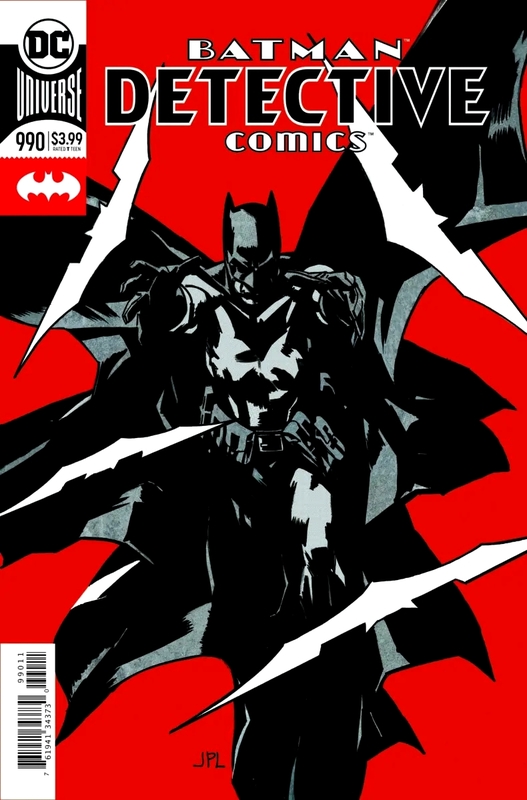 Though I had doubts and didn’t enjoy the last two issues of this story arc as much as previous issues, Detective Comics #990 is a step in the right direction. 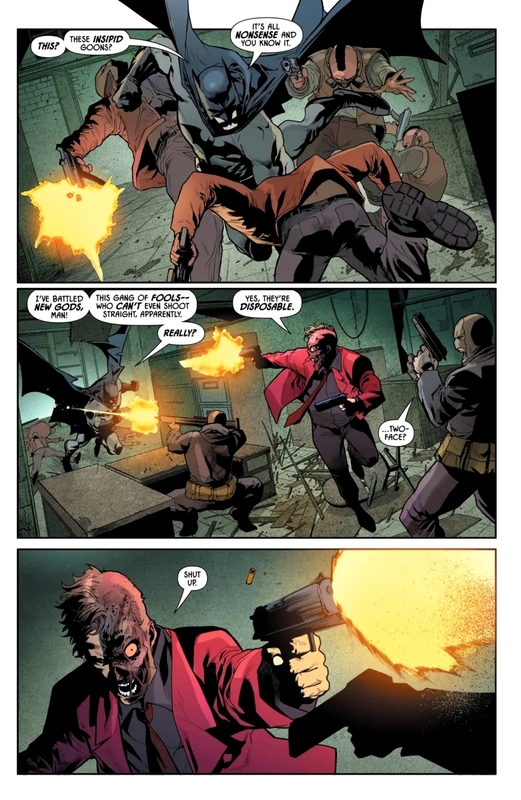 Writer James Robinson clearly loves Two-Face as much as I do, and has always written the character brilliantly. 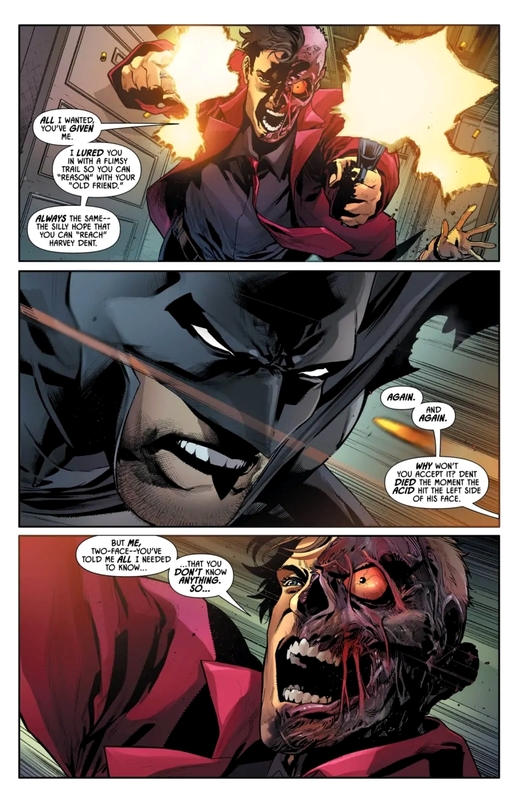 His classic “Face The Face” originally published in Detective Comics #817-820 and Batman #651-654 from May through August 2006, clearly demonstrates this. This story builds on this previous tale. Stephen Segovia’s art is improving issue by issue. 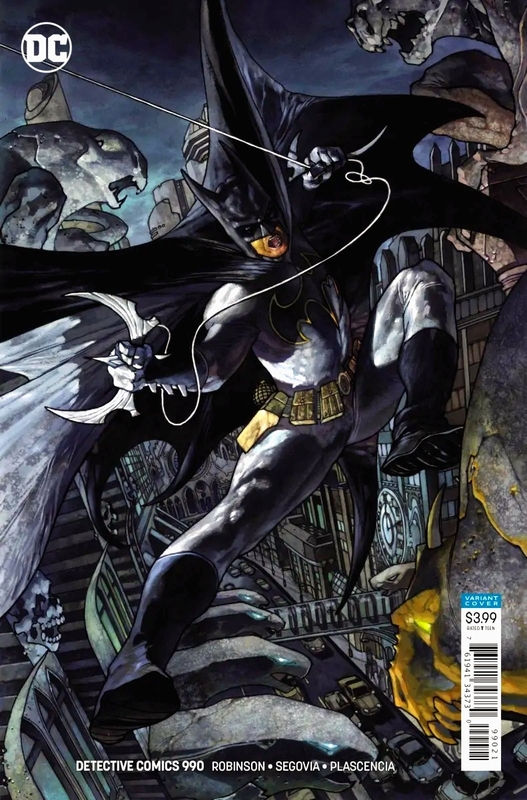 I’ve said that sometimes his human anatomy has been a little warped, but apart from one example (on page eight of his issue) where Batman’s left arm is too long, and his legs are way too short, his work on this instalment is pretty darned great. I don’t know why Allen Passalaqua had to step in to color four pages of this issue, but his work and that of fellow colorist Ivan Plascencia is gorgeous. The gunfire, blurs of movement and use of light is gorgeous. Rob Leigh’s lettering is – as always – terrific. The way he lays out the dialogue, particularly on the two page spreads, help your eyes follow the action. His work lets the art flow and the eye move in the direction the artist intended. He really is a master of his craft. After a clunky start this story is now in full flow. 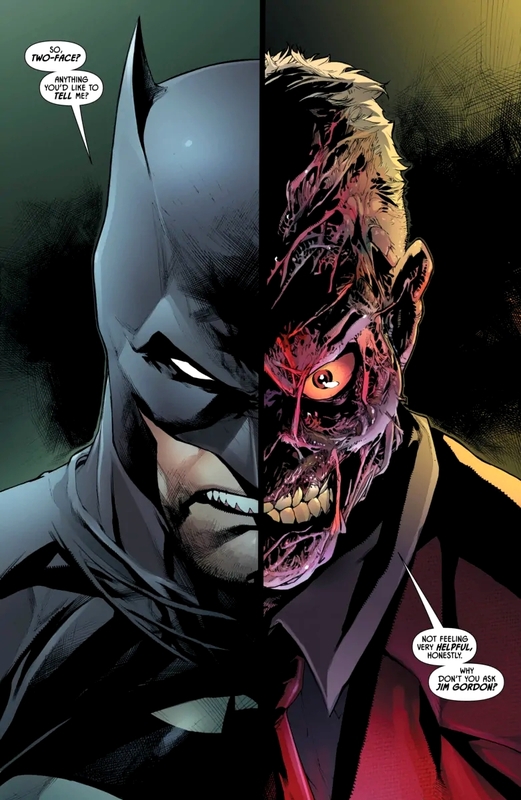 Two-Face continues to terrify and fascinate me in equal measure. Is Harvey’s long dormant personality trying to fight through? 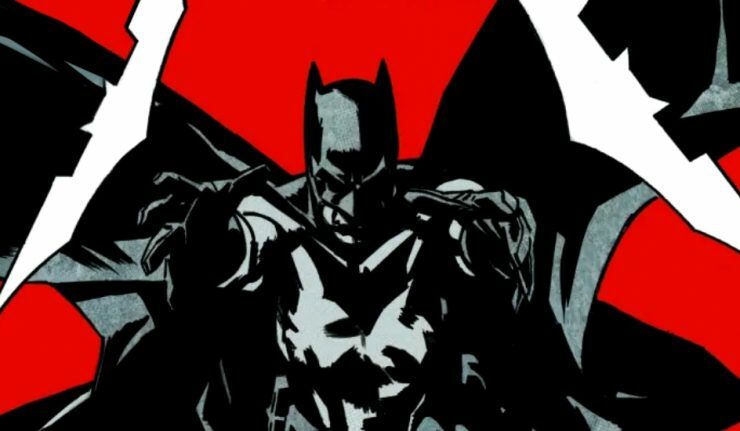 I’ll definitely be here for Detective Comics #991 to find out.